The Rush Training bars are not exactly new on the market. They have been around for a while and they actually are kind of a big deal. These raw bars are award winners. They scooped the Women’s Health Supermarket Star award for great tasting, quality, and clean ingredients. Now, how cool is that?! Now that you know that I am not selling you fluff, and pleasantries have been exchanged, you can now virtually shake hands with Rush Training Bars. Let’s move along with the full introduction now. I had a chance of tasting the Training Bars when I received a box of the yummy bars from Rush. The first bite I took, I fell in love instantly and gobbled up two bars in one sitting. What was incredible was that I could taste a combination of beautiful flavours, all in one bar. (By the way, Rush Training Bars are only available in one flavour, with an optimal carb/protein ration of 3:1). Picture cranberries, raisins, oats, almonds, dates, pomegranates, all fused together in one bar! Yep, it is explosive in a very delightful and mouth-watering way. I liked that the texture of these raw bars is quite grainy and not chewy like so many bars on the market. Rush Training Bars are a hit and they can have my money anytime. You can munch the Training Bars to meet your training goals. The raw bars are designed to fuel your energy during training, as well as build muscle and prevent the breakdown of proteins during strenuous training. You can also slide the bars into your everyday life for that ‘feel good’ feeling, thanks to the immune and energy boosting ingredients that the bars are packed with. I had the bars mostly while working out in the mornings or as snacks in between my meals. SO, WHAT ARE THE INGREDIENTS YOU ASK? The Rush Training bars contain a lot of ingredients but don’t be alarmed, they are all natural. As I mentioned earlier, these bars are free from dairy, preservatives, added sugar, and contain the good stuff such as Camu Camu which happens to be a great source of Vitamin C; Maca Root which counters adverse sources of stress and allows the body to adapt naturally to stressful training/lifestyle conditions. 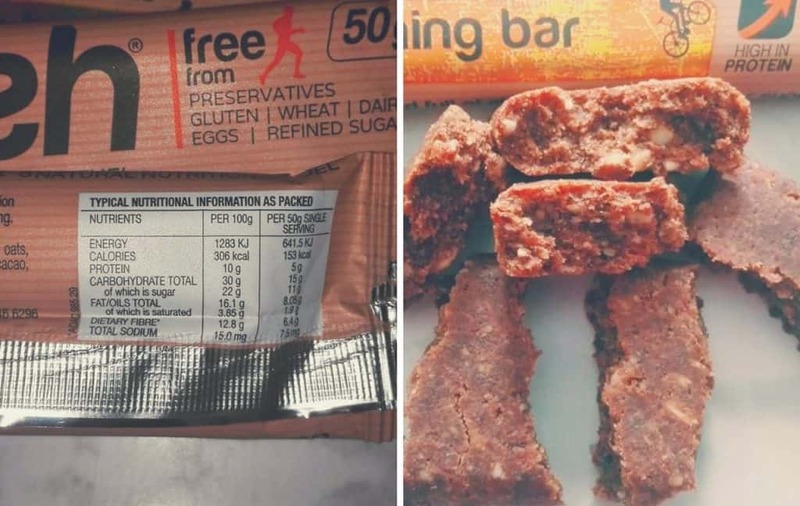 It is also worth noting that these raw bars contain no gluten, soy, wheat, dairy, and eggs in addition to the being without refined sugar and preservatives. 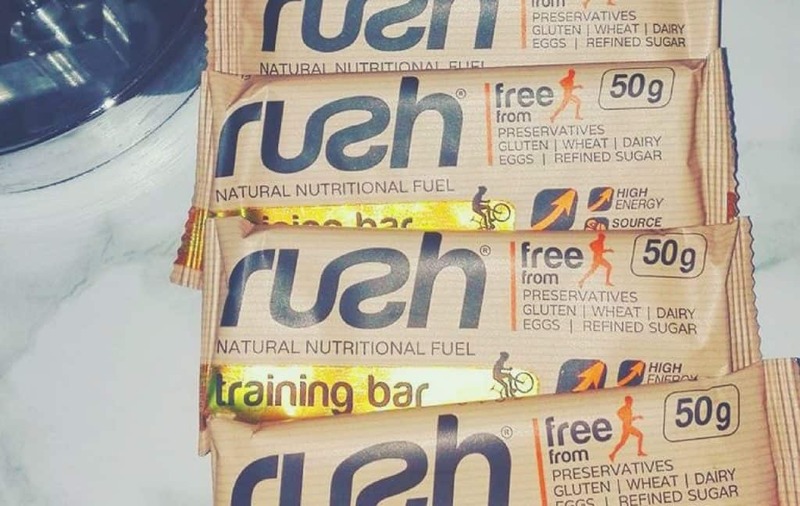 Rush, the brand behind the bars, also produce other ‘free from’ bars such as the Rush Berry Burst Bar, RUSH Endurance Bars, Rush Preggie Bar, Rush Monkey Bars, and Rush Grizzly Bars. 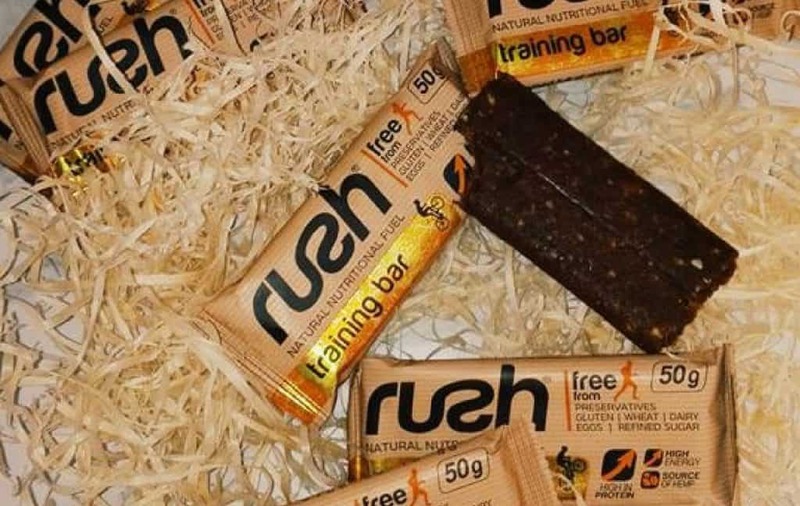 You can order your Rush Training Bars on the Rush website or you can check out their list of stockists here and buy from there. 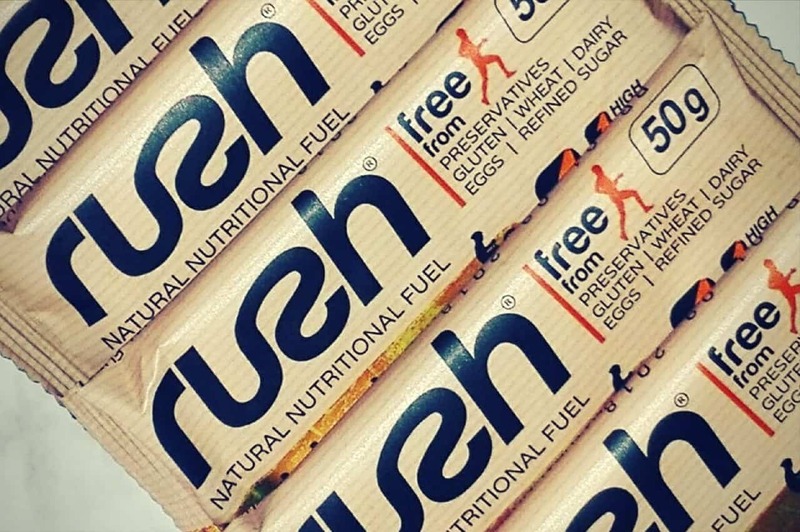 Have you tried out any Rush Bars, which one is your favourite? 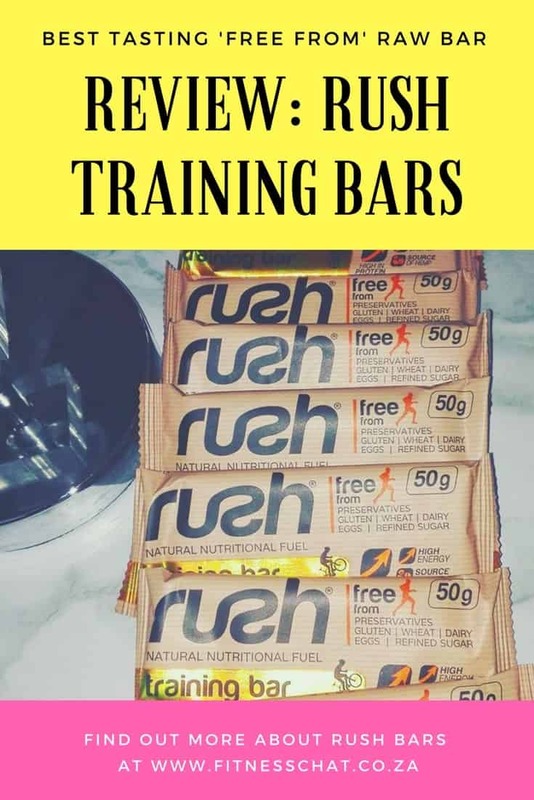 *I received Rush Training Training Bars in exchange for my honest review. Please see here for my full disclosure. We’ve been looking for bars to help fill the gaps with our oldest in his diet. So far everything has been a bust. They have all been as you so eloquently put it, cardboard dipped in chocolate. I would definitely be willing to give these a try. I like that they are free from preservatives and all that other junk we so often find in our foods. I really love that these are refined sugar free. I’ve been trying to grab more protein bars without sugar, and these sound like a great choice. I really like that it has so many natural ingredients, raw honey is by far my favorite flavor. I’m the busy mom of four and i’ll be honest I forget to eat sometimes, I think there would be great for me to keep in my purse or diaper bag to give me that extra boost when i need. These sound like great training bars. I have not tried them as of yet, but I will keep an eye out for them so I can. These look delicious, dare I say, for a protein bar. And no refined sugar makes them even better. I’m definitely going to have to look into these. I love maca bars! Awesome that they also are dairy free since we are a dairy free family! OMG you stated the reason why I never look at bars in the first sentence – cardboard dipped in sugar. I love that there are cranberries and pomegranates in the bars, those are two of my favorite things! Definitely have to check this brand out. I’ve never tried these bars before but they sound like they have everything a person needs after or before training/working out. I think it’s awesome that it’s perfectly healthy! My daughter and husband train hard, so I am going to get some of these to put in their bags. I want them to have healthy treats after working out. This is by far the best tasting bar on the market! Non of that ‘chemical’ tastes you have in most other bars. The energy value before, during and after training is tremendous. I really LOVE it. These rush bars seem really great. I have been looking for a new bar that I can take with me amd will be healthy and good for working out! I totally need to try these now! These look really good. I needed a change up from the other bar I have been getting. I will look for these next time I am out. These bars look and sound so good. It is great that they are presevative and dairy free. I am always looking for a good tasting bar. These sound like great bars. I know my husband would surely enjoy these we have been looking for a great bar for him to incorporate and these could be it! I hadn’t heard of these bars before but you make the flavors sound incredible! I’m definitely going to add these to my shopping list because a bar with all natural ingredients sounds like a perfect snack. Awesome! this seems effective! i will tell this to my friend he always visits the gym. I haven’t heard of these before. I’m always looking for good bars like this with only a handful of ingredients.